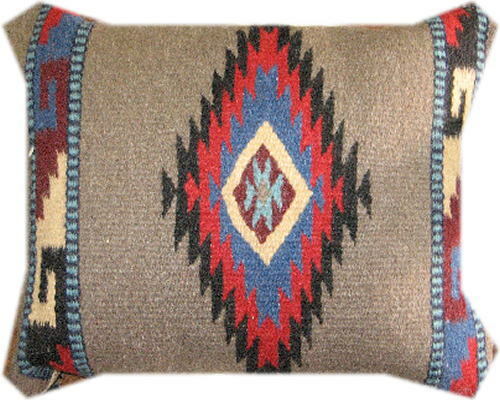 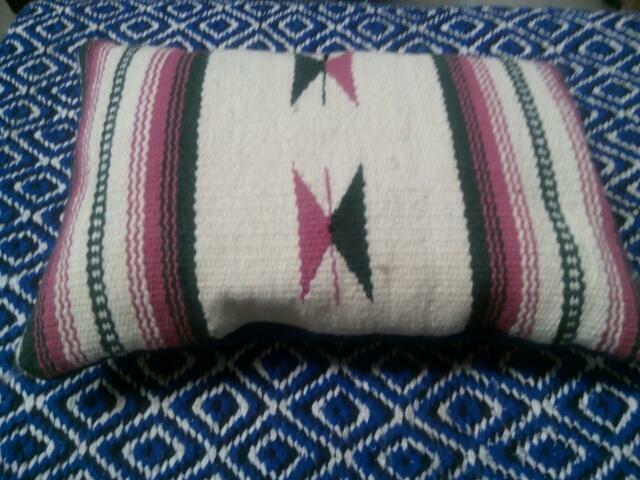 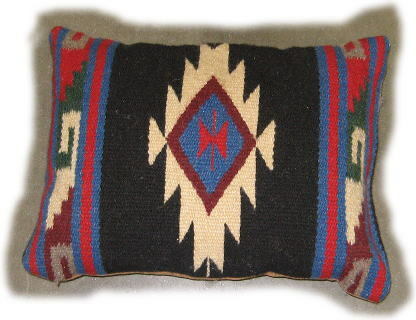 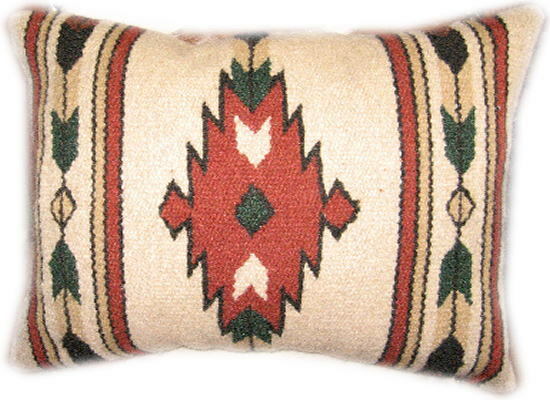 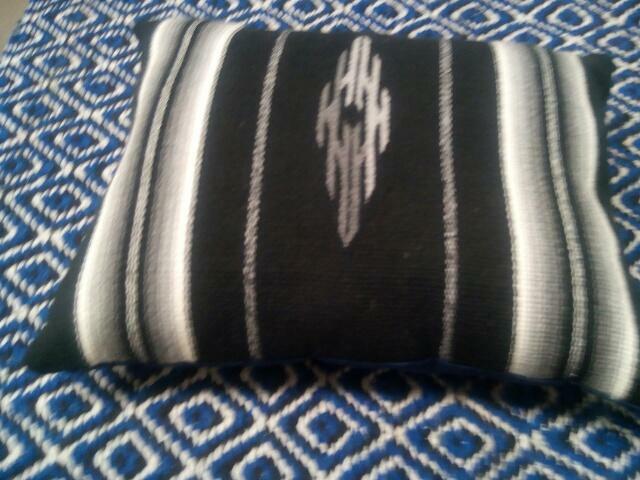 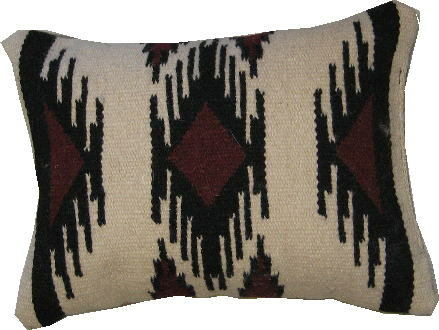 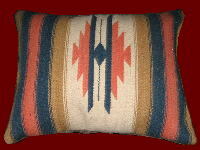 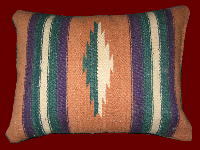 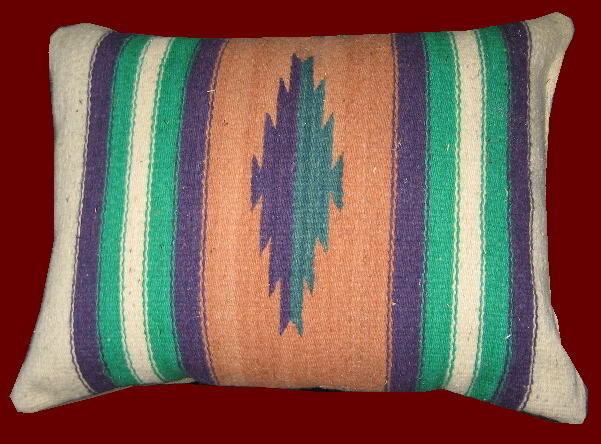 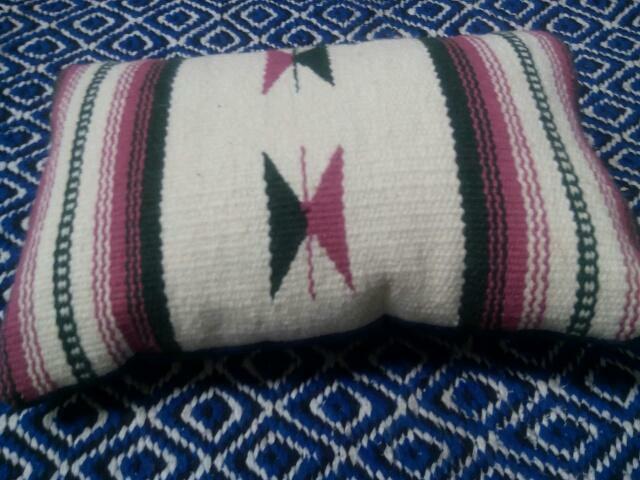 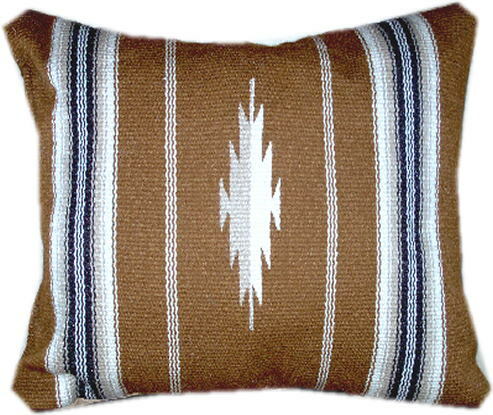 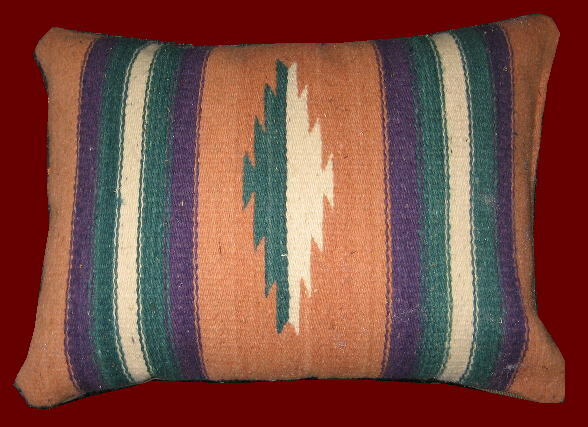 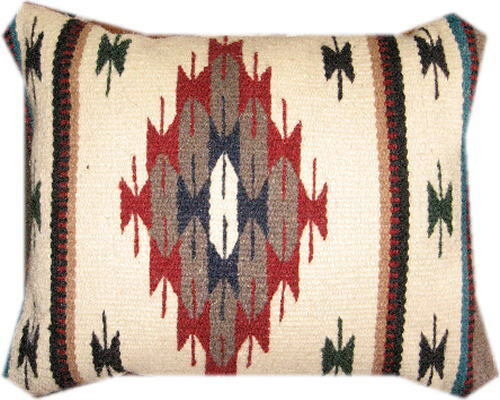 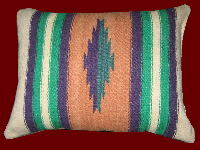 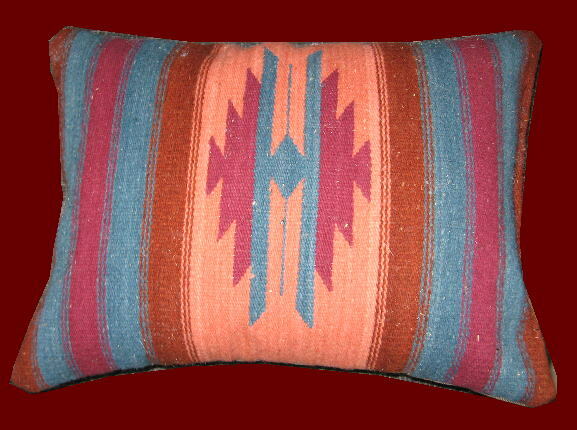 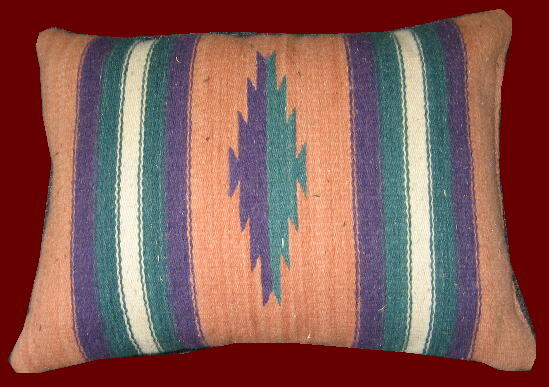 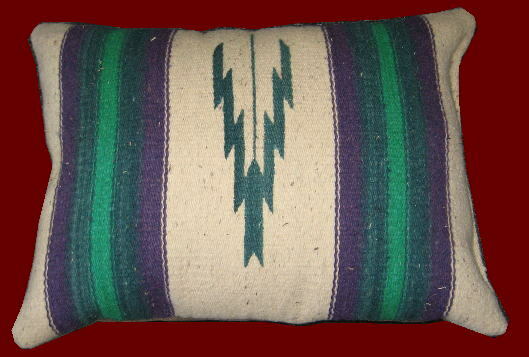 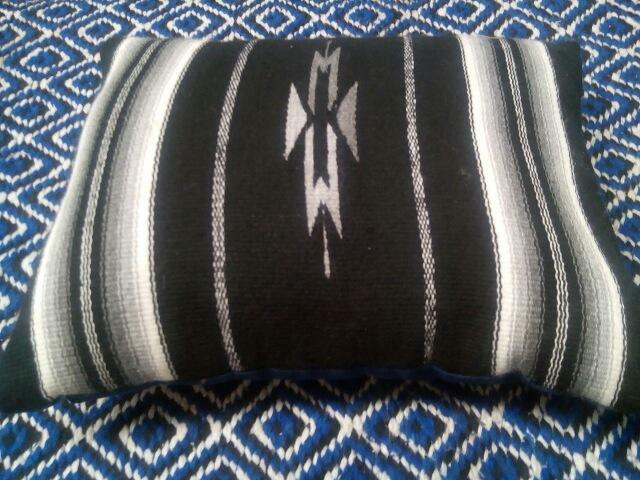 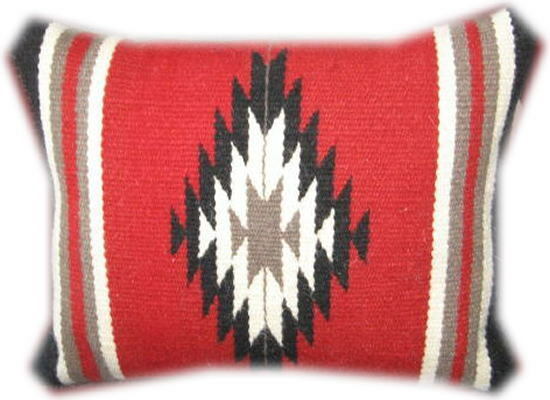 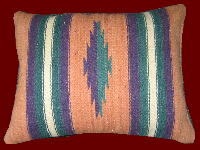 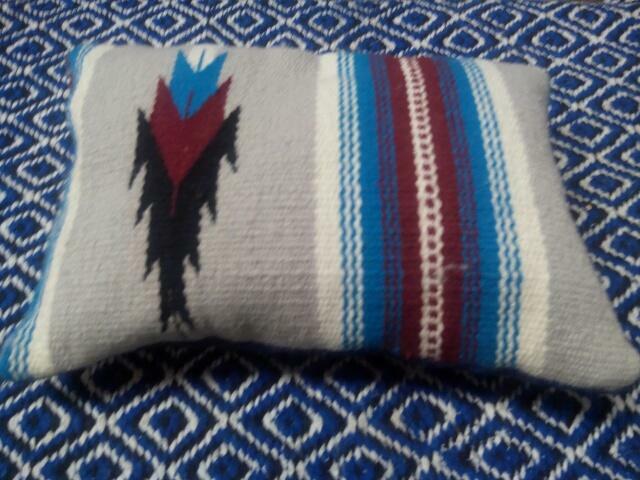 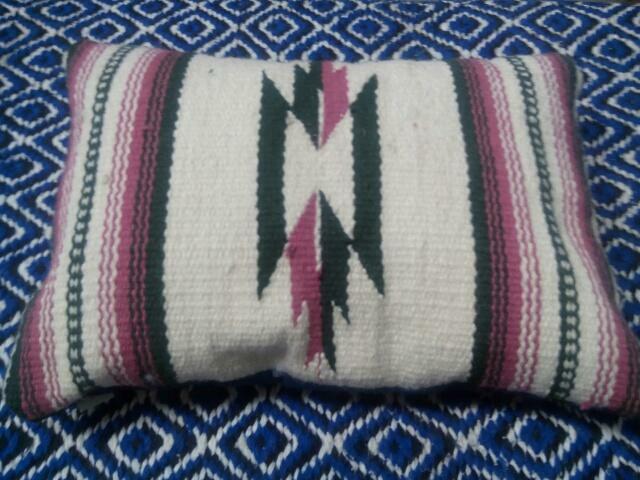 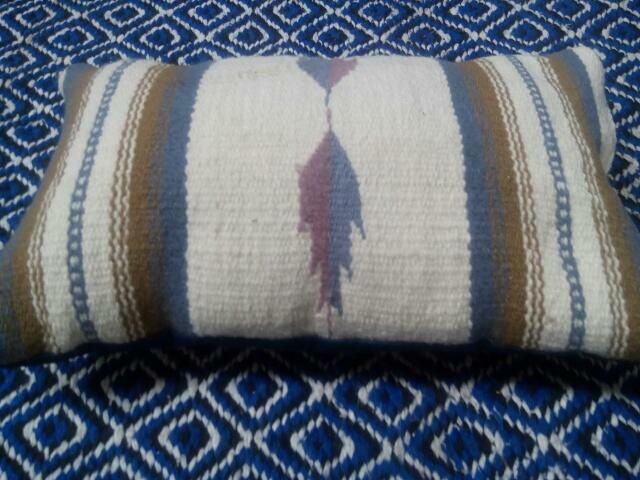 and Southwest designs, similar to our Zapotec pillows. 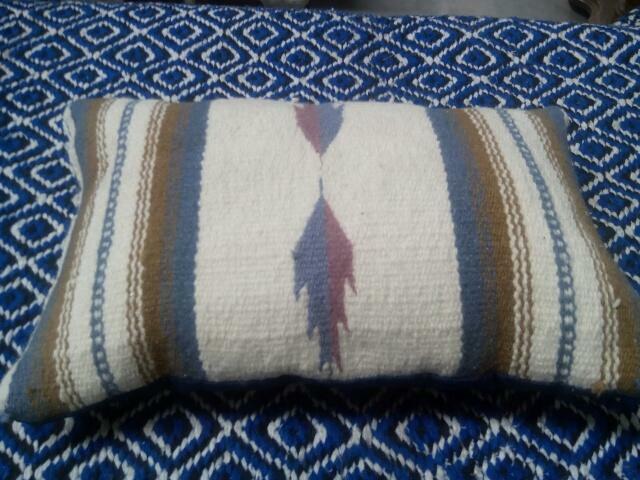 These pillows are cut and stitched right here in our show room from Maya design table rugs. 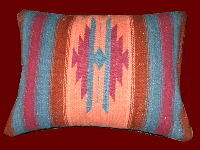 different colors will present themselves differently on different browsers. 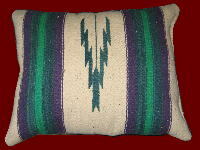 PLEASE CALL US BEFORE YOU ORDER ON-LINE! 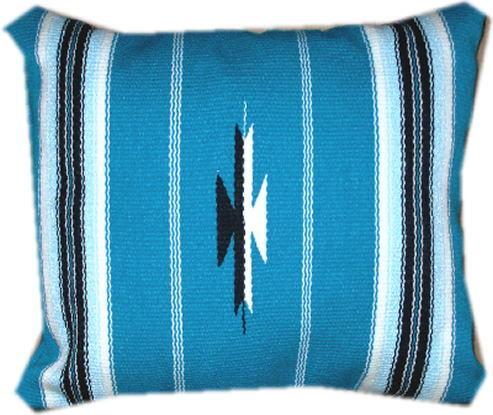 when using computers, blue may not be the blue you are trying to match. 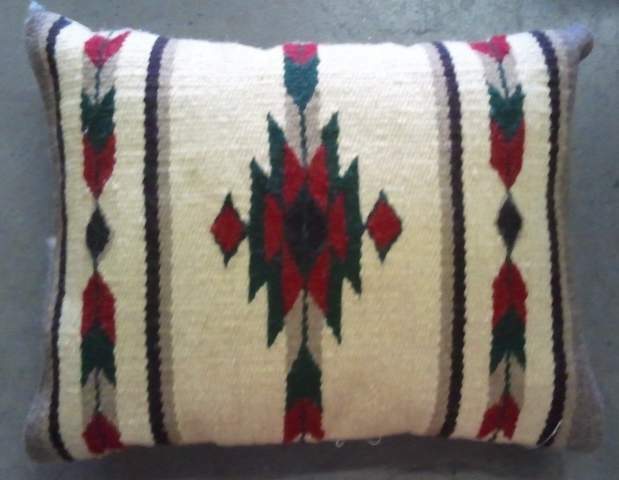 Check out the other GREAT looking pillows we make right here in our own shop!